One of the biggest challenges businesses have these days is how to manage change within their organization. It happens to every business, whether it’s a three-person team hiring a fourth person who will change the dynamic, or a large firm acquiring another company and trying to integrate the two into a cohesive business unit. Here at MAPADOC, we see this every day when companies are looking to make their first foray into the world of EDI or to change their EDI provider. How the managers for these companies handle this change with their employees ultimately determines the success (or failure) of the project. Change is scary for most people. We like to have our routines and we get comfortable with the way we do things and don’t want to change. However, businesses need to continuously change and redevelop or else they won’t grow and will be left behind as their competitors take over. As businesses change, the people who work for them must also change. It is the responsibility of the management and executives for that business to facilitate and enable the change. Here’s you can help facilitate and enable change in your company. Start talking early about the change. 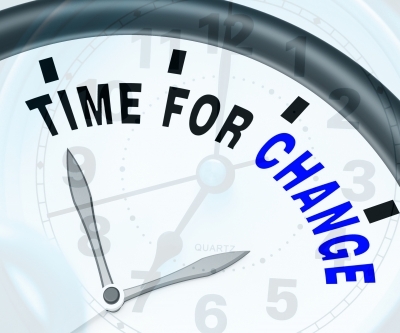 Give the employees time to process the changes and the impacts each change will have–before asking for their buy-in. Your employees need to have time to ask questions and make suggestions so they feel like they have an ownership stake in how well this change is implemented. Focus on the benefits the employee, as well as the company. Employees may hear “Good for the company” but translate that as “Not good for me.” (This train of thought usually goes: More efficient processes = less work for employee = less employees needed = no more job.) Talk to your employees about how the changes will affect their jobs and reassure them about what they will be doing once the change is in place. Change must involve people, not be imposed upon them. If change is being imposed on employees without their involvement, their tendency will be to push back. Participation, involvement, and clear, open communications are all important pieces in gaining the employees’ buy-in. By involving the employees by increasing their understanding of the changes, management will be taking away one of the biggest obstacles to a successful project and will likely turn “obstacle” employees into “champion” employees. Remember, if you start talking to your employees early about the upcoming changes, focus your information on how the changes will benefit them, and involve them in the changeover process, your company’s transition will become far easier and will be more pleasant for everyone involved. Do you have questions about how best to facilitate an EDI installation at your company? Contact us using the button below to get more tips from the experts.